This was the very first outdoor pyramid. It was inspired by several snowball-making sessions with residents of the Nelson Trust, an organisation helping people move beyond substance abuse. We all laughed when they mentioned the ‘ snowball cocktails’ during their desperate years of addiction. This pyramid was a tribute to the new vision of these people. From this time onward, the Snowball Gang became interested in building different pyramid constructions for any project they might undertake as monuments to the effort given by each person who makes and contributes a snowball. Pyramids made of round objects like snowballs are also challenging forms to engineer and can be various in design. 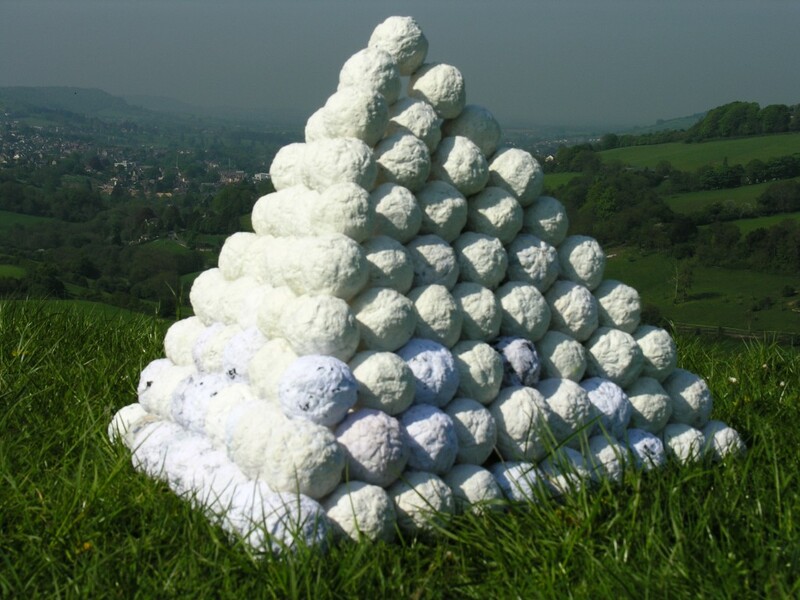 The Snowball Gang hopes to become ever more creative with pyramid design as well as scaling up in size for each project. The project that came next was Formal Dress.